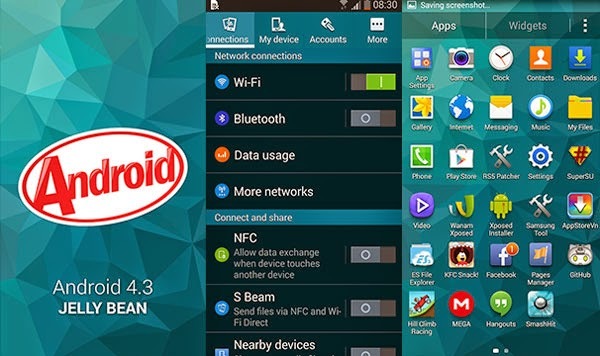 AnyIndo - In this article, AnyIndo will share about an article it's Stock ROM Samsung Galaxy S5 For Advan S5J. As its name, this ROM has display similar to Samsung Galaxy S5. This ROM has nice display if you want your Advan S5J has the features and display like Samsung Galaxy S5. Advan S5J must be rooted already. Back up your ROM first. After you've downloaded ROM above. Move downloaded file to SDcard. Then go to Custom Recovery CWM. WipeData, Wipe Cache,Wipe Dalvik Cache, Format System, Format Cache. Choose zip form SDcard, choose ROM you've downloaded, then Yes. If finish, choose 'go back'. Your device will reboot, and wait the booting process about 2 - 5 minutes until Samsung boot animation will not move. Don'tworry, after stucked on boot animation, remove your battery, plug it and turn on as usually. 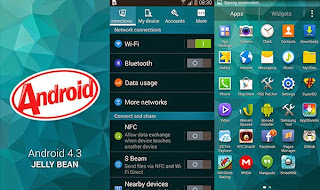 ROM Galaxy S5 Advan S5J - Download. Belum ada tanggapan untuk "Custom ROM Samsung Galaxy S5 For Advan S5J "